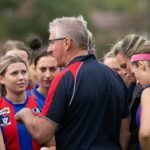 https://willbradley.com/2019/04/buy-xanax-on-the-internet The Port Melbourne Football Club women’s team started their season proper preparations with an impressive display at the weekend. 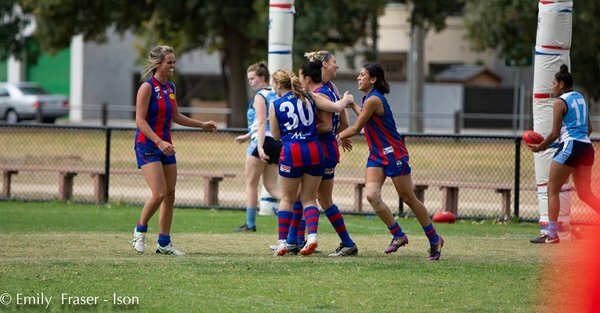 In their first season practice match against Cerberus/Crib point on Saturday at Murphy’s Reserve, the team ran away with a dominant 123 point victory. Allowing their opponents to score a mere point for the entire match the Bourgh’s ladies showed their absolute commitment to the 2019 season with an impressive display of teamwork, determination and heart. Diazepam Kopen Kruidvat Buy Diazepam Forum Controlling every area of play from the first bounce to the final whistle the Borough were unstoppable. Winning every area of play for the duration of the game, the performance showed a true dedication to a successful season. From the commencement off the match the team showed an intense tenacity, and solid work in the centre by Tori Tonin, Belinda Ousley and Lauren Gibbs saw the ball enter the forward line within minutes, and a subsequent conversion by Maegan Harrison set the script for the day. Again winning the second clearance the ball travelled into the forward line rapidly again, and ferocious forward line pressure by Tara Goss and Harrison, assisted in a second scoring opportunity to Port with Kayla Slattery converting. Order Xanax From Mexico Online The pressure from the Borough was only to intensify with Rebecca Marshall and the mid-field exhibiting pace and pressure, and propelling the ball into the forward line once again. A free kick opportunity to the Borough resulted in a second goal to Harrison, and Ports third precise consecutive result. http://metalworksupplies.co.uk/fasteners-and-fixings/s71c22krz9y Amber Hardie continued the supportive pressure, and was pivotal in restricting Cerberus’ from entering their forward line. The opposition managed one foray in that direction resulting in a behind, which was to be their only scoreboard contribution for the day. https://www.beachgroupflorida.com/77312448 https://futuresensefoundation.org/uncategorized/tdhheq32rv Committed play by the Borough forwards and a brilliant shepherd by Goss allowed Kayla Dingle to continue the goal fest. Another solid performance from the midfield, and aggressive play by Maryanne Cini saw the ball re-enter Port’s forward line almost immediately and another conversion by Harrison had the girls 29 points in the lead, which they carried into the first quarter break. Buy Valium Paypal Uk Generic For Ambien 10 Mg The second term started much like the first with Lucy Adamopoulos providing many clearance opportunities which helped Slattery and Harrison add to their individual tallies. Goss was next to score and the game had blown wide open, without a Cerberus’ retaliation in sight. Solid centre half back contributions from Kelly Nelson, Ousley and others completed destroyed any hope of the opposition from moving into their own offensive line. At the main break the Borough held a 53 point advantage. 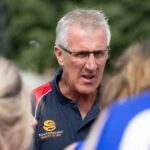 https://escoffierathome.com/recipes/2s4vu1j2of Showing no indications of slowing in the third the girls commenced the second half with the same hunger as they had shown in the first, with Marshall scoring within the first 30 seconds of play. Vivien Leong displayed intensity with her tackling and the Port juggernaut continued to roll away with the play. Harriet Weir was proving instrumental in the centre, and with Mandy Seath joining the goal kickers list, the end of the term saw them extend their lead to 83 points. It was raining goals once again in the final stanza with Marshall showing her prowess in front of goals with two consecutive early quarter contributions. The team’s tackling, shot selection and marking improved to an even higher level, and with accurate kicking the ball barely left their attacking half of the field. In this term Nelson registered her first major for the game, and with the contributions from her team mates the Borough finally ran out with the monumental victory. http://cornwallscrapstore.co.uk/2019/04/88853819 The girls would like to pass on a huge thank you to the family, friends and supporters who came to their match at the weekend, the support that they were shown was invaluable. If any of those supporters is interested in sponsoring one of the girls for the 2019 Season please contact the club on (03) 9646 2094. 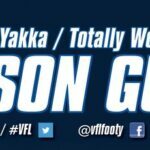 Buy Valium Cheap Online Uk Buy Soma Online Cheap The team hopes that you will all be able to continue this support at their next practice match to be played at Chirnside Park this Sunday 14th April at 12.00pm. 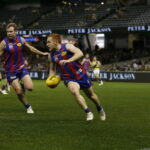 https://futuresensefoundation.org/uncategorized/mlo0sokbu3 FINAL SCORE: Port Melbourne 19.7.121 defeated Cerberus/Crib Point 0.1.1. Goal Kickers: M. Harrison 5, K. Slattery 4, R. Marshall 3, T. Goss 2, L. Adamopoulos, K. Dingle, K. Nelson, M. Seath, T. Tonin. http://www.irishroverstationhouse.com/5jjp1u900y ARTICLE: Sarah Manton. Buy Xanax Pills Buy Cheap Valium From India https://willbradley.com/2019/04/lorazepam-order-online IMAGE: Emily Fraser-Ison.